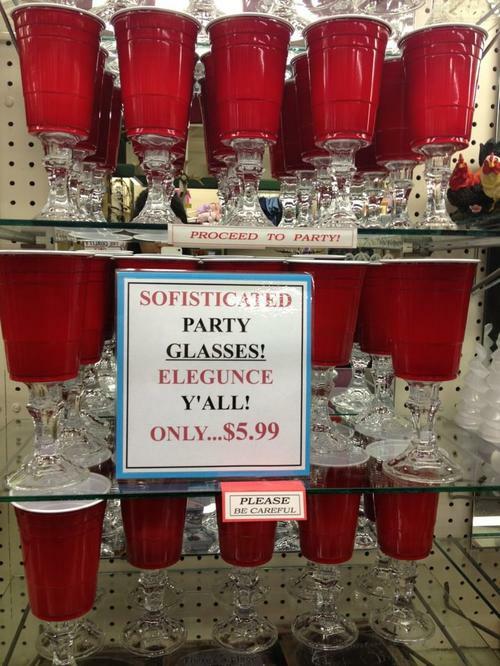 The "Sofisticated" Party Glasses are an elegant step up for classic Solo cups. 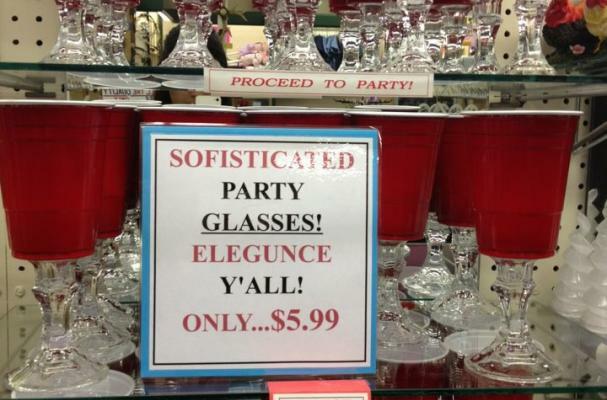 The frat-party essentials get a sophisticated upgrade with the addition of glass stems, creating red Solo cup stemware. This image has gone viral on Tumblr, but it's unsure where this photo was captured and what sort of establishment sells this stemware. For more fun Solo cup love, check out Toby Keith's song "Red Solo Cups".